Medieval warlords, battlemages, and modern streetfighters alike will appreciate the ferocity and power of the Dragon Red Bladed Glove. The blades that extend from this fingerless glove mimic the deadly claws of the reptilian beast. 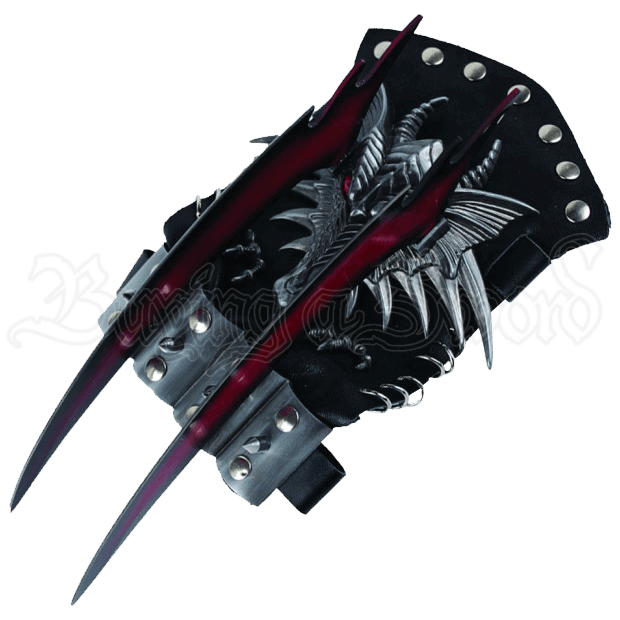 The glove is fashioned from black faux leather while the two daggers are crafted from stainless steel. 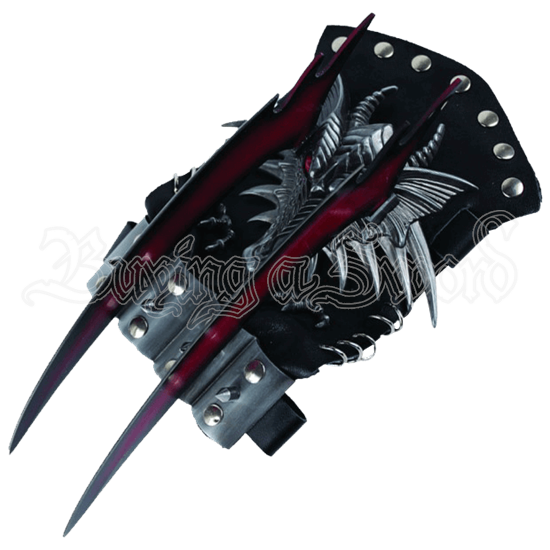 Crimson streaks run down the center of each black blade. The cast visage of a dragon appears at the center of the glove. Its red eyes and scaled skin glint with realistic detail. Metal rivets line the upper cuff and rings accent the sides. Spikes and rivets decorate the extra layer of leather that encases the fingers.